The Scottish Portrait Awards is a project of the Scottish Arts Club Charitable Trust. The Trust was set up in 2014 to advance all forms of the creative arts in Scotland, to improve the accessibility of the creative arts to the general public and to encourage and assist in the development of up-and-coming artists, exhibitors and performers. It is chaired by Charles Scott with Trustees Hilary Mounfield, Gordon Mitchell, Sara Cameron McBean and Leeona Dorrian. 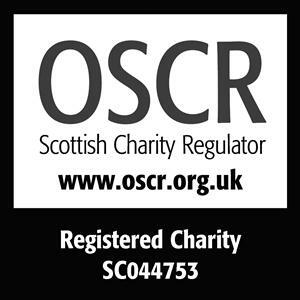 The SPA Fund is a dedicated fund on the Charities Aid Foundation website set up by the Scottish Arts Club Charitable Trust that accepts one-off, monthly or annual donations. Through the Scottish Portrait Awards we aim to create a vibrant new platform for showcasing exceptional Scottish talent. You can join us on this exciting journey, and bring more of our outstanding fine artists and photographers to public attention. Contributions to the SPA Fund through the Charities Aid Foundation can help to support the SPA prizes, the promotion of the awards, the exhibition - including potential for it to travel to other places in Scotland - an innovative education programme and portrait workshops. Your contribution would make a valuable difference to this work and be entirely dedicated to the SPA programme. Stay in touch with the Scottish Portrait Awards.